Speaking at Bloomberg’s #TheYearAhead event in Davos, Switzerland, Uber CEO Dara Khosrowshahi said that the company is gearing up to roll out self-driving cabs for passengers to ride, by around mid-2019. 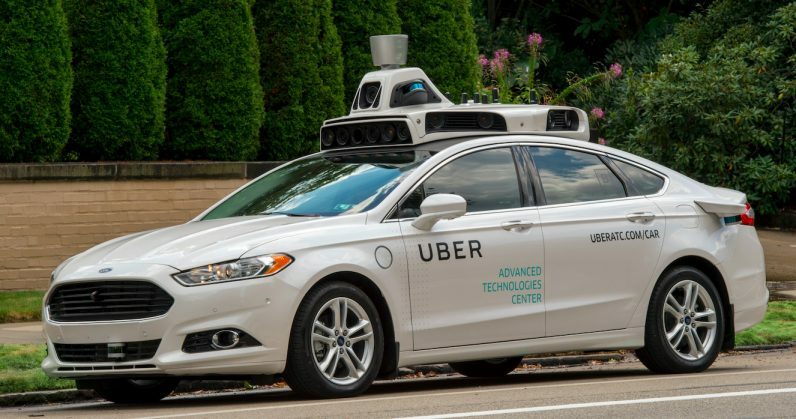 However, that’s not to say that every Uber cab will be self-driving; instead, the company will likely send autonomous vehicles for a small number of rides that it’s fully confident that its self-driving cars can handle. Khosrowshahi gave the example of handling a ride in Phoenix, saying that in 95 percent of cases, where mapping isn’t sufficient or weather is difficult, it’ll send a car with a human driver – but in 5 percent of cases, an autonomous vehicle will be up to the task, and be sent out instead. He added that the plan is to improve that figure from 5 percent to 100 percent of trips over the next several years, and that Uber users will be able to choose whether they want a self-driving car or one with an actual driver. That’s optimistic, given that Uber is still in a major legal tussle with Google spinoff firm Waymo over having stolen trade secrets; the battle has been raging since last February. Ahead of the trial, Waymo has sought $2.6 billion for just one of several such secrets, and last month, courts revealed a 37-page letter of allegations against Uber from a former employee, highlighting numerous forms of misconduct, including ousted CEO Travis Kalanick’s involvment in the theft of Waymo’s tech know-how. Losing the case could put a spanner in the works for Uber. Still, it’s interesting to hear how a major mobility firm like Uber is approaching the challenge of introducing self-driving vehicles onto our streets. The company has been testing its vehicles in San Francisco, Pittsburgh, and most recently, Arizona. As someone who’s hoping to never have to own a car in their lifetime, I’m happy to keep an eye on Khosrowshahi & Co. to see if they can make good on their promise.